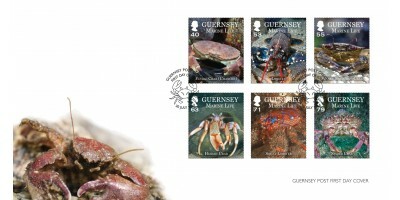 41p - The Edible Crab (Chancre) 54p - Lobster 55p - Velvet Swimming Crab 66p - Hermit Crab 74p - Squat Lobster 83p - Spider Crab Our sets are supplied in a robust glassine bag. 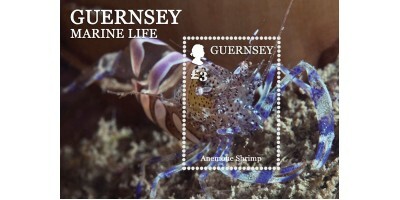 You may decide to..
£3 - Anemone Shrimp A small sheet containing one stamp set against an illustrated background. This miniature sheet also features augmented reality. Using your tablet or smart phone download the S.. 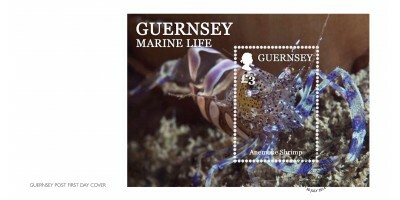 The second part of our series on Guernsey marine life focuses on crustaceans, a group of animals that includes shrimps, prawns, crabs and lobsters. Around 67,000 species have been identified and, while most crustaceans live in water, a few have evolved to live on land, the most familiar being the humble woodlouse. The distinguishing feature of all these creatures is the possession of a hard outer shell called an exoskeleton. 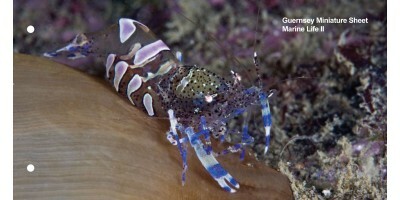 Like a full suit of armour, this provides a protective casing for the soft body of the animal inside. 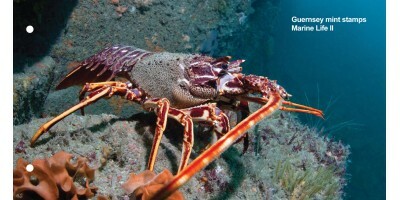 The legs and tail sections have joints to allow for movement and the front pair of legs of most crustaceans has evolved into claws for feeding and defence. The miniature sheet also features augmented reality. Using your tablet or smart phone download the SEPAC App from your App store and scan the image of the stamp. 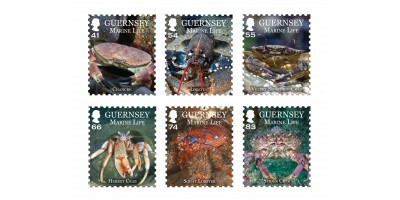 See all the wonderful crabs and lobsters featured on the stamps in their natural environment in this stunning short video. 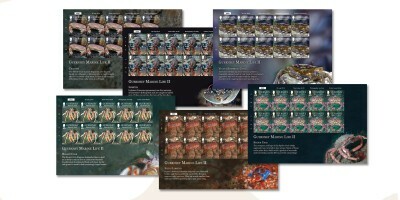 A quick and wonderful way to get more out of your stamps and more information on the crustaceans featured.